Baby geniuses will have lots of toys to keep them busy this year. Tech enhancements are making their way into toys for even the tiniest humans, with features and capabilities that will allow kids to become familiar with the technology that shapes our world. Kids are growing up with devices in hand, and many new toys will begin teaching them the skills they will need later in life. The Fisher-Price Code-a-pillar (pictured above) will be a big favorite this year. 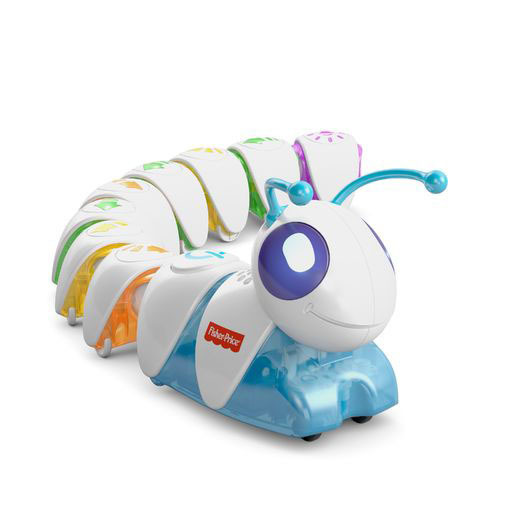 Designed for toddlers ages 3 and up, this friendly, vibrant caterpillar toy features interchangeable, USB plug-and-play pieces that each represent a different piece of code. Kids can attach them together in different combinations to create sequences that make the caterpillar move, make noise and more. A basic introduction to coding, the Code-a-pillar teaches kids a new language that is shaping our lives as technology continues to power our daily activities. 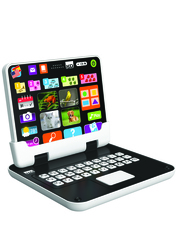 This year, Kidz Delight will launch a new line for toddlers called Tech-Too. These pretend touch-sensitive toys look just like mom and dad's electronic devices, and they provide a great first device for kids to get used to touching, swiping, and more. Designed for kids ages 2 and up, the My 2-in-1 Tablet (pictured above) is a sleek, pretend, hybrid tablet-and-laptop-in-one. In tablet mode, preschoolers can play in three different ways: They can touch an icon to learn related information, or play in Discovery or Quiz modes to learn about numbers, colors, shapes, and animals. When plugged into the keyboard, the tablet becomes a laptop, allowing children to unlock even more activities. 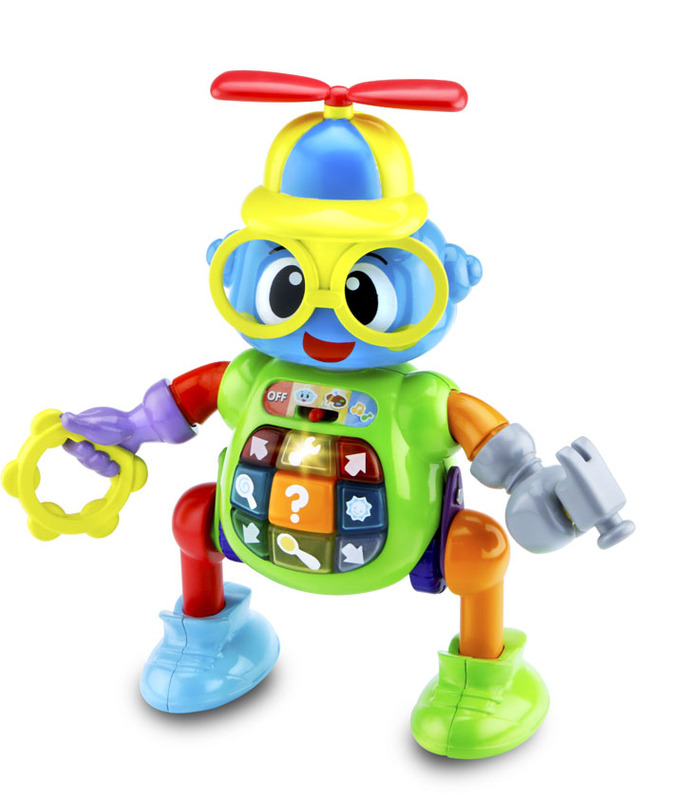 VTech's line of infant and preschool toys expands this year with Mix & Move Bizzy (pictured above), designed for kids ages 2 and up. Kids can build up their own robot using 10 different accessories, creating a different robot every time they play. This playful bot teaches cause and effect as kids connect the 10 accessories to trigger fun responses. It also includes 10 unique melodies that kids can personalize by adding in their own special sound effects. Bizzy will guide kids along through various activities, allowing for creative, independent play. Bizzy also loves to dance around to the music on his interchangeable legs or wheels. A perfect first robot for kids, Bizzy will keep them engaged for hours. Laurie Schacht also known as The Toy Insider Mom, has been covering the toy industry for more than 20 years. The Toy Insider produces an annual holiday gift guide in Woman's Day magazine, and also serves as a trusted resource for parents all year round at TheToyInsider.com and through social media.